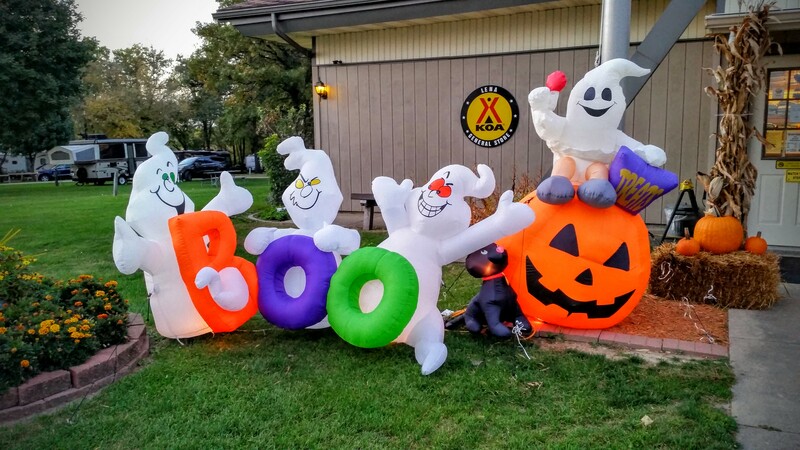 This KOA has a nice focus on fun and families. In my whole life, I do not think I have ever heard of Lena, Illinois, but that is where I find myself tonight. 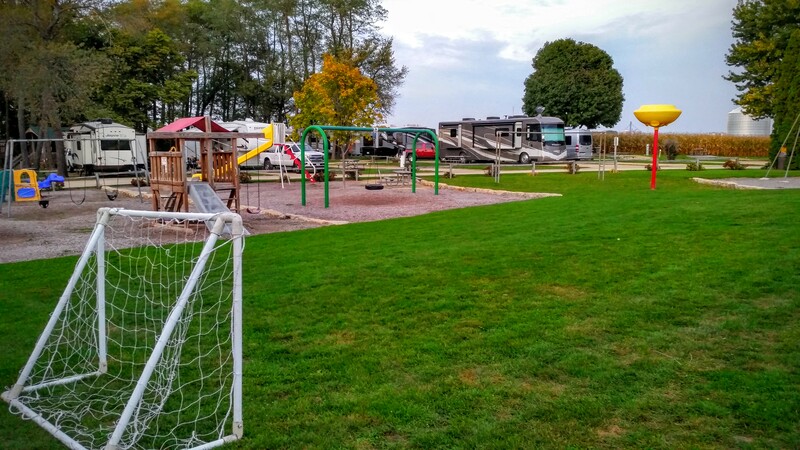 This is a great KOA campground owned by a couple who has put a huge effort into upgrading the facility and making it very attractive for kids since they bought it 3 years ago. It is very nice and I am glad I stumbled upon it. I started my day at Flex Steel with them picking up our recliner chair at 9:00 am. I ran to Walmart to pick up some orange juice and see a little of Dubuque. They brought back the chair at 1:00 pm and they had added new padding to the chair. The lady told me that they have had problems with the chair and since it was just out of warranty, she thought it was best to not charge us and to provide the re-padded chair at no cost. I was very grateful and appreciative of her kindness. After that I brought in the slides on the motorhome and headed east. 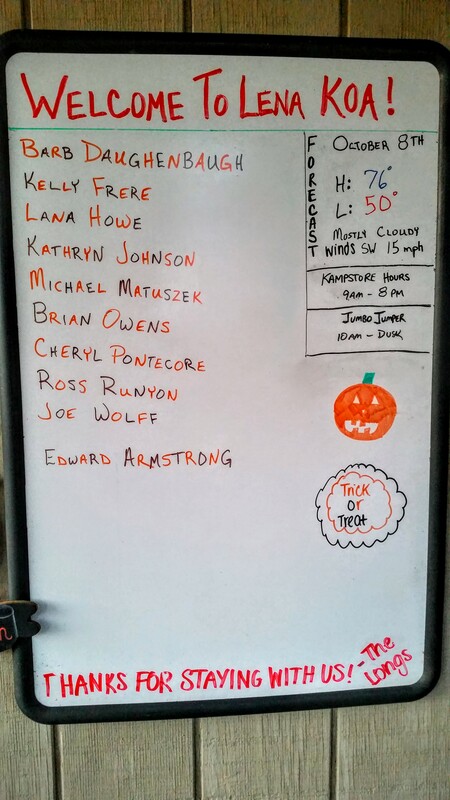 I cannot remember a campground that has welcomed people by listing their names on the welcome board. They certainly make people feel welcome. After a couple of hours on the road, I found a campground with openings that had 50 amp electrical service and a sewer hookup available. I have not had a sewer connection since I left Amarillo, so I need to do laundry and a sewer connection and 50 amp electric are required to use our washer and dryer. 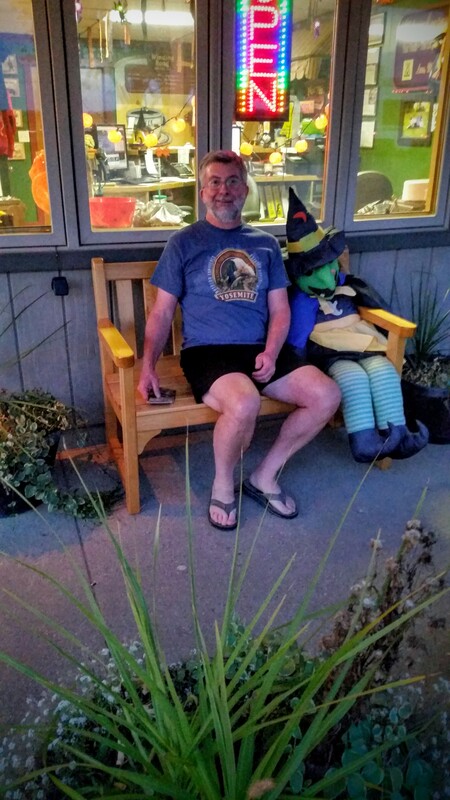 There are many areas focused on children at this campground. I appreciate the opportunity to see a new area of Illinois. I have been to Chicago many, many times over the years (one year I had 6 trips to Chicago in the same year). Now I get to see a new area and enjoy different communities. I plan to head through Rockford, Illinois tomorrow and then go up into Wisconsin. This is a nice way to see the country! ← Keep Your Plans Flexible!